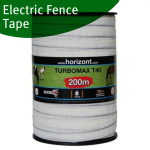 Poly Wire for electric fencing, suitable for temporary and semi-permanent fencing of sheep, cattle and pigs. 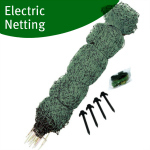 Poly wire is a composite of poly twine and stainless steel conducting wires. 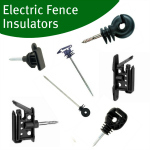 Poly fence wire is generally 2-3mm in diameter with the quality depending on the number and thickness of the conducting wires. 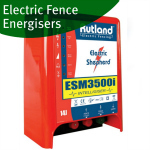 Economy poly wire are suitable for shorter fences with premium quality being for larger systems. 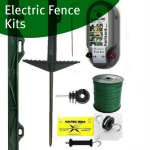 Electric fence poly wire can also be used for a top line to stop horses biting or pushing against wooden fence posts.